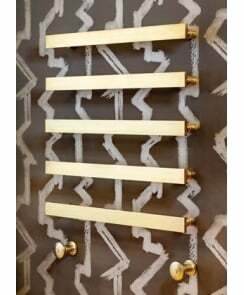 Bard & Brazier produce the finest Towel Radiators/Warmers and to the highest quality and standards. Precision engineering and the skill of their Craftsmen, ensure that Bard & Brazier stay at the top. Each and every rail they produce is made by hand. They are set apart from competitors by manufacturing every individual and external component of their rails. A bespoke service is also offered whereby you can choose a rail in any size and in a variety of colours. They have a factory that is open to any client to visit where you can watch the production process and understand better how the towel rails are made. A feature offered by very few in the industry.